Home > Games	> New Kindle apps! Games, Tools and Interactive Fiction! New Kindle apps! Games, Tools and Interactive Fiction! Here’s some new / updated apps for the Kindle! 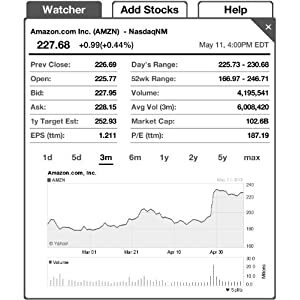 ‘Stock Ticker (An Investment Tracker for Kindle)‘ by Voyager Apps is available on the Amazon Kindle site for $0.99. Just click here to download! Is the market up or down today? How is your portfolio doing? Want to track a stock or index you’ve had your eye on? No problem! Stock Ticker has you covered. Search for stocks or indexes and Stock Ticker will return a list of suggestions. Pick your stock and save it to your list. Stock Ticker will give you a real time display of all the current information you need to stay on top of your investment portfolio. Refresh the screen to retrieve updated data. Never be out of touch with your money again. Track your investments effectively with Stock Ticker. Stock Ticker does need a connected WIFI network to retrieve the data. And check out the other new Kindle apps after the jump! ‘Picture Cross Deluxe Edition (A Logic Game For Kindle)‘ by puzzle.tv available on the Amazon Kindle site for $0.99. Just click here to download! 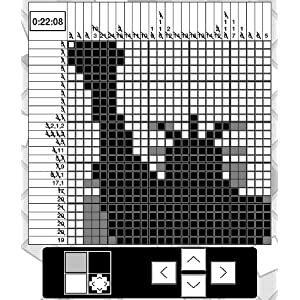 Picture Cross Deluxe Edition is a puzzle game where you use logic to reveal a picture. Starting with a grid of empty squares, Picture Cross gives you clues in each column and row with which you must work out whether each square in the grid is black or white. Find all of the black squares to reveal a themed picture. Detailed instructions and helpful tutorial are included, and a hint feature is available if you get stuck. Win Achievements along the way. Once finished, you can reset each puzzle so you can replay as many times as you like. Picture Cross Deluxe Edition includes 100 ALL-NEW hand-made puzzles, each with an imaginative theme. Puzzles come in grids of various sizes, ranging from 8 by 8 puzzles, which are nice and easy, thru 10 by 10, 15 by 15, 20 by 20, and up to 25 by 25 which are very challenging. 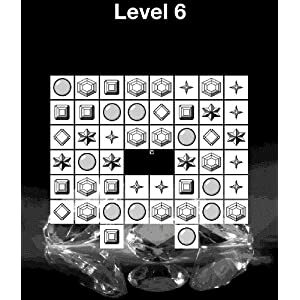 Deluxe Edition brings the best new puzzles and the best solver to Kindle. If you love logic puzzles, you’ll love Picture Cross Deluxe Edition. ‘Chef’s Index (A Recipe Tool for Kindle)‘ by Vantomic’s is available on the Amazon Kindle site for $1.99. Just click here to download! Chef’s Index takes all those containers of index cards and puts them in the palm of your hand. 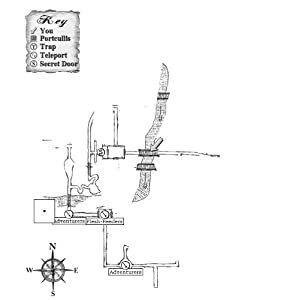 It is the simple recipe filing solution. Guarantee that your family recipes last forever and have them at your finger tips while cooking or at the grocery store. 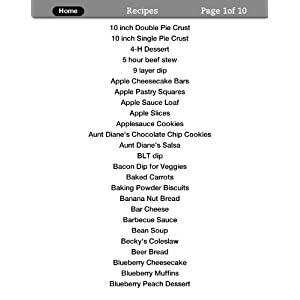 This tool gives you the ability to categorize, search and store as many as 50,000 recipes (dependent upon free space on Kindle). It also gets you started with over 200 recipes! Begin saving those family recipes on Kindle today! ‘Gem Quest (A Match 3 Puzzle Game for Kindle)‘ by Applications Innovations is available on the Amazon Kindle site for $1.99. Just click here to download! Gem Quest is a matching puzzle game where you must complete challenging levels by swapping gems to make matches. The game features twenty levels in the Quest Mode along with an option to play a ninety second Quick Play. In Quest Mode, you complete the levels by making a match of three or more on each tile in the level. This is done by swapping two adjacent gems to complete a match horizontally or vertically. When a match is made, the gems above will fall down into place and new gems will fall in from the top unless a match is made under a shelf to form a free space. Quick Play follows the same game mechanics except instead of trying to make a match in each tile, you have ninety seconds to make as many matches as possible to get the high score. If you enjoy puzzle games that require strategic problem solving, you’re sure to enjoy Gem Quest. ‘Creature of Havoc (A Fighting Fantasy Adventure)‘ by Worldweaver is available on the Amazon Kindle site for $3.99. Just click here to download! Creature of Havoc brings an exciting installment of the popular game book series Fighting Fantasy by Steve Jackson and Ian Livingstone to Kindle. A game book is an interactive story. As you read you will make decisions as to which way to go, what to say to other characters, and what to do with items you might find. A convenient in-game map tracks places you have visited, items, or monsters encountered. You are the hero! You decide which route to take, which dangers to risk, and which creatures to fight. But be warned – it will also be you who has to live or die by the consequences of your actions. 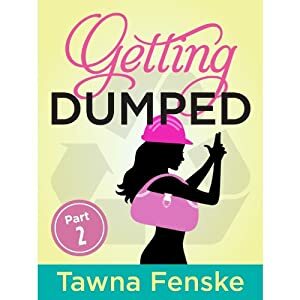 ‘Getting Dumped Part 2 – A Schultz Sisters Mystery (An Active Fiction Romance Series for Kindle)‘ by Tawna Fenske is available on the Amazon Kindle site for $4.99. Just click here to download! GETTING DUMPED PART 2 is the second installment of an Active Fiction series from Coliloquy. Instead of just watching the story unfold, readers help influence future episodes by giving their feedback on the heroine’s choices. When we last saw JJ and Lori Schultz, their dinner was rudely interrupted by someone at the door with a gun. In this second episode of GETTING DUMPED, we learn who’s brandishing the pistol and follow along as the girls’ sleuthing kicks into high gear. Who can JJ trust to help, and who’s hiding sinister secrets? Is it Collin, the surly British science geek? Pete, the D-list action-hero turned secretary? Or Daniel, the on-again, off-again boyfriend? Tawna has whittled the hunks down to two, but she’s eager to see who’s your favorite. She receives the aggregate statistics on who gets picked the most, so the more you read, the more you’ll influence her.